Carly Hoilman reporting from Brooklyn Bridge Park. Brooklyn, NEW YORK –Two young men were arrested Wednesday after gun shots were fired on Pier 2 in Brooklyn Bridge Park at around 5:30 p.m. Officer Pisano of the NYPD told the Tribune Thursday morning that police arrested Lagrant Foster (20) and Akeem Green (17). Foster was charged with Criminal Possession of a Weapon and Reckless Endangerment. Green was charged with Criminal Possession of a Weapon. Four other males, who were a part of the original dispute, were summoned for Disorderly Conduct. 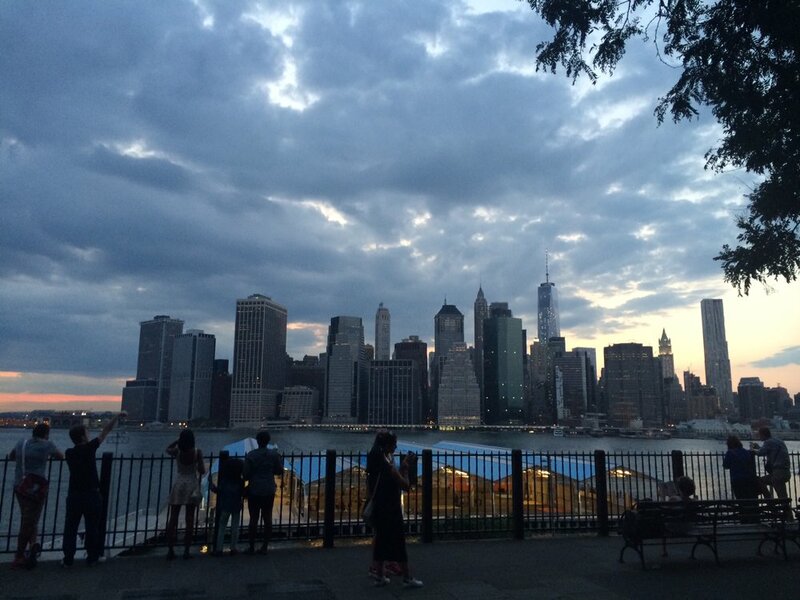 King’s sophomore, Sarah Norton, was walking along the Brooklyn Heights Promenade at the time of the shooting. She was uncertain as to whether the two loud “popping sounds” she heard were gunshots until she saw “large groups of people running” from Pier 2 and heard yelling from the park area. In an interview with the Tribune, Norton described what she witnessed as the event unfolded in the park below. “It was a little bit confusing. Most of the people on the pier ran away, but some were still hanging out, playing basketball as if nothing had happened,” Norton said. Norton lingered on the promenade for another half hour as ambulances and more police cars arrived, but she was unable to see all of what was happening due to construction in the park. She did, however, witness one of the two arrests. “About an hour later I walked back outside and an area of the pier had been taped off with crime scene tape, and the pier was blocked off from pedestrian use,” Norton said. After skimming Twitter later that night and reading eyewitness reports, Norton found out that shots had been fired in the park. The NYPD confirmed that as of now, no injuries or fatalities have been reported. Weekly Bull: featuring Heather Cate promoting Twilight of the Gods!